It’s sometimes hard to argue the ‘why’ for something as intangible as storytelling, let alone prove that the benefits are real. In a school context, especially compared to subjects such as science or maths, why should we spend time imagining something that was made-up instead of learning facts? All the world’s a stage… including your classroom! Do you know your up stage from your down stage? Your Shakespeare from your Stanivlaski? No matter where your drama knowledge is at, this blog series will guide you on your way to delivering your best drama sessions! In Part 1 we discuss why teach drama, plus there’s a handy resource pack of drama games for you to download! When people think about the ways in which drama can help children, the most frequently talked about benefit of little ones pretending to be vikings, fairies or the lobster in the nativity is probably that it helps improve their confidence. But there are other ways too, from familiarising the unknown, to developing creativity, to encouraging empathy. After going through the process of creating dance in Part 3 it’s time to talk about choreographic devices. Choreographic devices are the tools we use to manipulate movement in order to enhance, exaggerate and embody actions. They’re a great way to give a class or a group of children ownership over their dance. Here we have 11 devices, some which are more suitable for EYFS and KS1, and some for KS2. We set out each year to try to inspire every child in the audience and to change the lives of one or two. But can theatre in education really make this happen? Are you a dancing queen? Can you conga round the classroom? Are you a master of mambo? Two-step or tango?! Whatever your style, or potential lack thereof - do not fear! 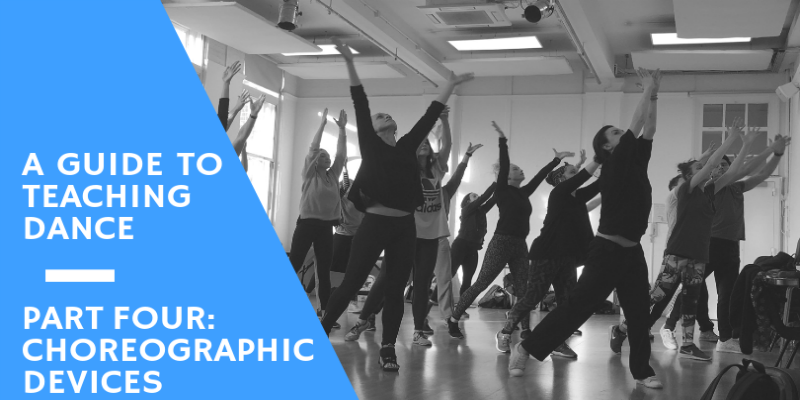 In this blog series we’re going to cover all the steps that will help you deliver dance in your school to the very best of your ability. First World War Centenary: how can we teach it in primary schools? This year is the centenary of the end of the First World War and 100 years since the Armistice was signed on 11th November 2018. To mark the occasion we created Poetry and Poppies, an interactive workshop that combines poetry, drama, and history for the whole primary school. We spoke to Abi, the creator of the workshop, to find out exactly how the workshop came about and what its challenges were. Teachers often wonder whether they are better advised to visit their local theatre or to bring a specialist company into their school. When it comes to which option is best for your school, we think there are three main areas to consider: production quality, price and convenience. Putting the Fun in Fundraising with a School Pantomime! Every Head and Parent-Teacher Association (PTA) wants to encourage the main stakeholders of their school to come in, enjoy time together and build the school community. If this can be done while also raising money for the school, even better!